Derived from the Italian word gemma, which has a dual meaning of “vine bud” and “precious gem,” Jèma is a pure expression of Corvina – the region’s signature varietal. Produced from a 3-hectare single vineyard located in the heart of Valpolicella Classico, Cesari’s “gem” is full, supple, and well-balanced with rounded tannins. Cherries pervade the nose backed by toasted mocha notes lent from 18 months of aging in French oak barrels. The grapes were dried in crates for 20 days prior to vinification. This wine is produced in limited quantities in only the finest vintages. A ripe red shows plums, strawberries and blackberries. Hints of vanilla, too. Full body, round tannins and an easy finish. The 2011 Corvina Jèma is a terrific wine that offers opulent fruit flavors that are amply supported by the wine’s thick inner concentration. It shows bold lines and an exuberant character for sure, but ultimately the wine delivers a careful sense of studied balance and harmony that underlines its pedigree. It is made according to the highest criteria using the workhorse Corvina grape that is one of the principal blending partners in traditional Amarone. It is aged in both French barrique and Slavonian botte grande. In recent years, we’ve started to see very interesting mono-variety expressions, as found here. Some 32,000 bottles were produced. Well-knit and elegant, this creamy red layers fine-grained tannins with flavors of black cherry puree, exotic spice, mineral and Earl Grey tea. Fresh and supple, featuring a lingering, aromatic finish. Expressive and bold. The bouquet is comprised of thick layers of fresh and dried fruit that contrast each other nicely. In the mouth, the wine is rich, penetrating and well concentrated. I could imagine a pairing with risotto colored black with squid ink. This opens with earthy aromas of tilled earth, leather and a whiff of game. The soft, savory palate offers spicy plum, crushed blackberry, clove and mocha alongside soft tannins. Drink through 2016. Up-front leather and forest floor notes underscore the flavors of black cherry coulis, mocha, singed orange peel and dried fig in this rich, medium – to- full- bodied red, with a lingering, well-spiced finish. Drink now through 2025. 2,250 cases made. Find out what pure (100 percent) corvina tastes like in this earthy, softly tannic, deeply flavored red. Polished tannins and layers of ripe black cherry and boysenberry grace this elegant red, while juicy acidity pushes through to the mocha- and licorice drop-laced finish. Drink now through 2019. 1,165 cases made. The 2009 Corvina Jema sees a 20-day appassimento process, 20 days of maceration and 18 months of oak. The Covina grape is known for its thick skin, lighter color and high acidity. Jema has darker extraction than many expressions of this grape and its aromas include pressed blackberry, cassis and plum. In fact, the fruit profile of the wine is delicious. Bright freshness keeps the palate clean. Drink 2014-2020. Stylish and fresh, offering polished oak to the flavors of black currant, crème de cassis, graphite and spice. Well-integrated, with fine-grained tannins and a lingering note of vanilla bean on the finish. Drink now through 2017. 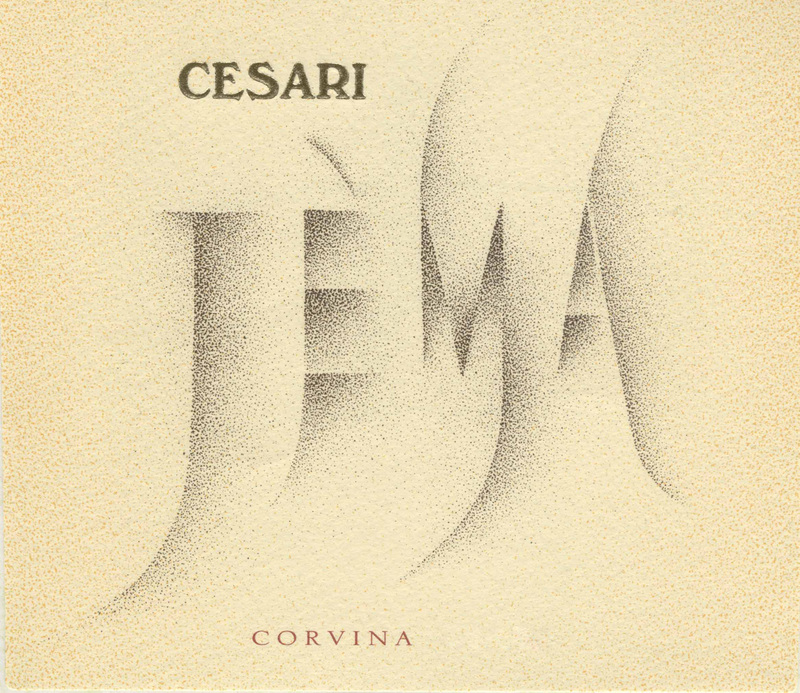 Jèma (a 100% expression of Corvina, one of the main grapes used in Amarone) is a new wine from the folks of Cesari that offers oak-driven notes of spice and sweet tobacco backed by blackberry, cassis and plum. In the mouth, the wine shows an elegant, almost delicate side.